King West is set in the very heart of Toronto’s urban sprawl. If you’re partial to the motto "Work hard, play harder," you'll be in good company amongst the populace of young professionals in the neighbourhood. Condo options range from the swanky abodes on Millionares Row near Bathurst and Spadina, to smaller, more accessible buildings suited for first-time buyers. And while the area is well-known for its mix of condos and nightlife options, an increasing number of developers are drawing up plans for larger condo units ideal for growing families. The main allure of King West is that you can really have it all when you live here. A short commute downtown, glorious city views and a thriving local community with as many amenities as you'll find in any amazing neighbourhood in the country. From rooftop patios to high fashion boutiques, King West won’t leave you searching for anything. But do keep in mind, most of these stylish shops and restaurants come with a price-tag to match. Fast, accessible transit options are everywhere you look, but you can also walk to just about anywhere. The ease of access by heel-toe travel nets King West a 94/100 Walk Score rating. The 504 King streetcar runs 24-hours per day, a go-to for commuters, and connects you to the Yonge-University line at either St. Andrew or King subway stations. Residents can also hop on one of the northbound streetcars at Bathurst or Spadina and connect to the Bloor-Danforth line. This collection of immediate transit options lends itself to a perfect 100/100 Transit Score! When you're looking to get out of town, the Gardiner Expressway is your quickest option. However, traffic gets pretty thick during rush hour and long weekends, so plan accordingly. Who lives in King West? While the neighbourhood is not without diversity, King West plays home to a lot of young professionals, mostly singles and couples. There are family-friendly buildings and residential areas, but the community is geared primarily towards a youthful, successful group, and the demographics reflect that. The perks of downtown life make up for battling it out during your morning commute. Awesome shopping, eating and nightlife options will be steps from your door, no matter which end of the neighbourhood you inhabit. Though your main fashion outlets are a short walk north to Queen Street West, King Street West has some retail gems of its own. You'll find a number of smaller specialty stores whenever you scan your surroundings in this neighbourhood. For day-to-day needs there is a sizeable Independent City market, selling everything from fresh produce to frozen foods. 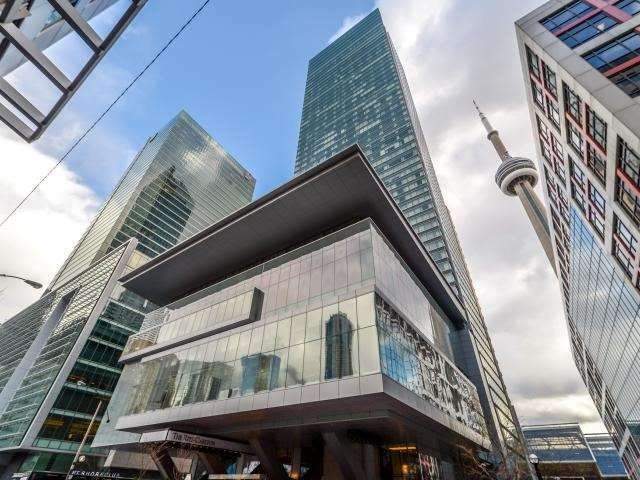 Or head to the central condo area, at Liberty Village, where you can find a Beer Store, LCBO, and Metro, as well as a Kitchen Stuff Plus, Casalife and West Elm. For the nightowls, there is even a local grocer, The Kitchen Table, which stays open until 2 a.m. There are also some more unique options you may want to check out on King West, including Reviv. Somewhere between a spa and a vitamin shop, Reviv is a clinic that offers vitamin-wellness infusions via intravenous drip, perfect if you’re feeling a little run down after a hectic working week or wild weekend. Now that’s downtown living! You don’t have to look far for your morning caffeine boost on the way to work, with King Street hosting a wide selection of top notch coffee houses, including Starbucks, Quantum Coffee, Sam James Coffee Bar and Louie Craft Coffee, to name but a few. Once the working day is done, you may find yourself at one of the many chic eateries dotting the main streets. Think tasty house-baked pastries and sophisticated Italian dining in the stylish retro Oretta, which houses both a restaurant and a cafe section. Feeling posh? Reserve a table at the swanky Thompson Diner, situated below the hotel of the same name. Here you’ll find a menu that brings together old school favourites with contemporary touches; think a classic poutine with a royal upgrade. When Friday night rolls around, whether you want to kick back and sip on a hand-crafted cocktail or dance the night away with your friends, King Street West is the city’s nightclub capital. Just follow the sound of pulsing music and you’ll find the closest party. Culture and cool are intertwined in King West, so it doesn’t matter if you prefer to spend your days sweating it out at a trendy workout class, or browsing the walls of a contemporary art gallery, you won’t be left disappointed. Book into one of the many classes at Elle Fitness, or try out the cult classic spin-specialist at Toronto’s only SoulCycle outpost. Finally, check out some of the diverse artwork that is on display at Coldstream Fine Art, or catch a movie at the TIFF Bell Lightbox which welcomes all the famous faces to the annual Toronto International Film Festival. Because King West is inhabited mostly by young singles and couples, it's not brimming with educational institutions. That doesn't mean, however, that families in this neighbourhood have to go far to drop off their children. King West is in close proximity to public, Catholic and Montessori schools, as well as some specialized performance arts instituions, like Amici School of Music, and the Academy of Acting for Film and Television. The surrounding area offers residents a few different options for high schools, while collegiates attending the University of Toronto are close enough to reach campus by walking or biking. Just because you’re right in the middle of the concrete jungle doesn’t mean you lack options to take in some natural splendor. Urban planners have taken the neighbourhood’s environmental needs into consideration; many condo buildings have their own rooftop gardens with awe-inspiring views. You can also head along Adelaide West and find Saint Andrew’s Playground, a small park with a kids’ playground and an off-leash dog area. Or, head to Stanley Park, which has a little more space and a much bigger off-leash area for your furry friends. Plus it has a basketball court, two tennis courts, a playground, shuffleboard court and a small outdoor pool.